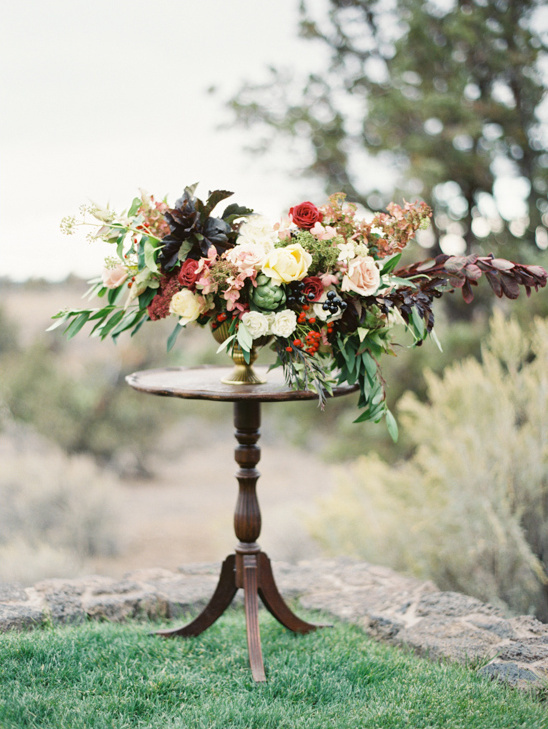 We’ve come to the end of our day enjoying all the beauty of Erich McVey's Workshop in Bend, Oregon at the lovely Brasada Ranch. 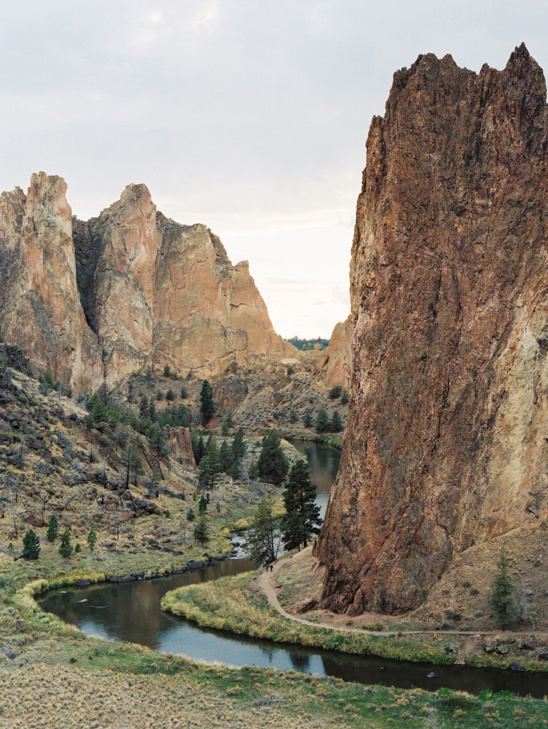 But before we go on to the final photos by Erich McVey we want to be sure to encourage any photographers out there interested in learning from one of the best to visit Erich’s website. 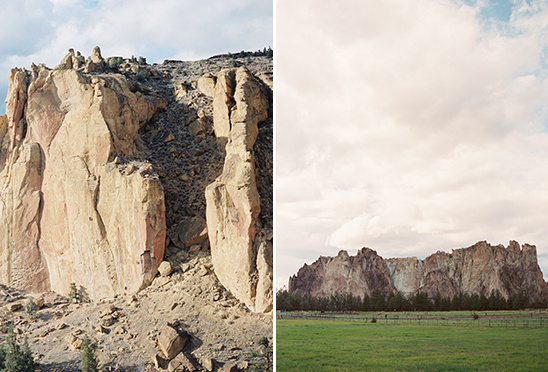 Learn more about what Erich’s workshops are all about, and sign up to be the first to hear about his upcoming workshops when they are announced. 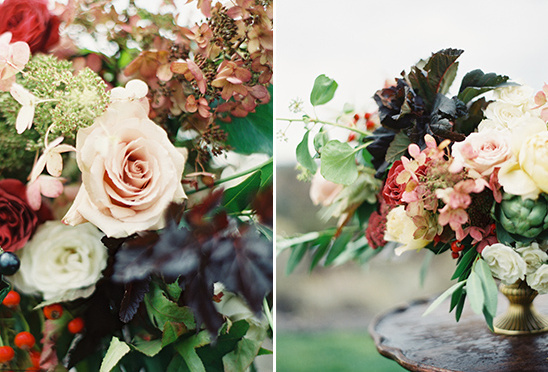 With so much information, growth, collaboration and beauty, his workshops are worth every penny – don’t miss out! 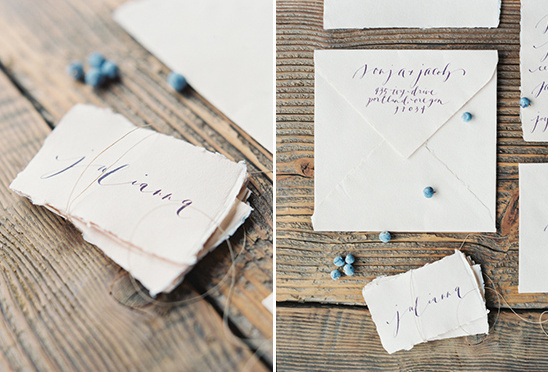 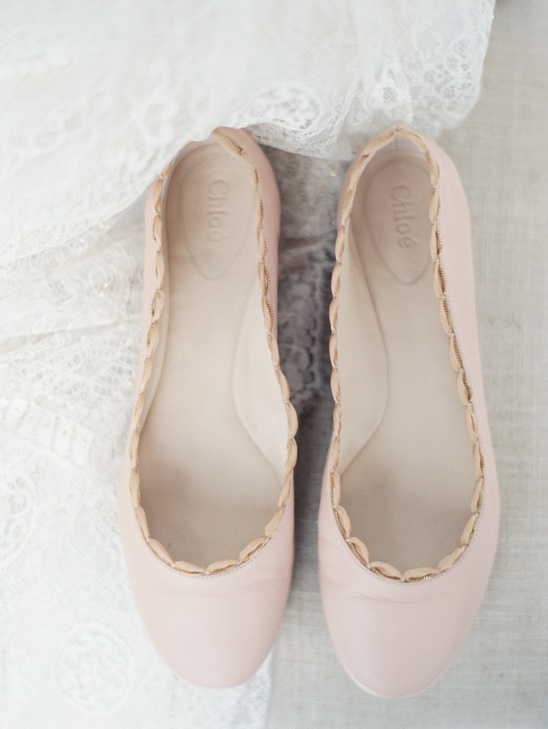 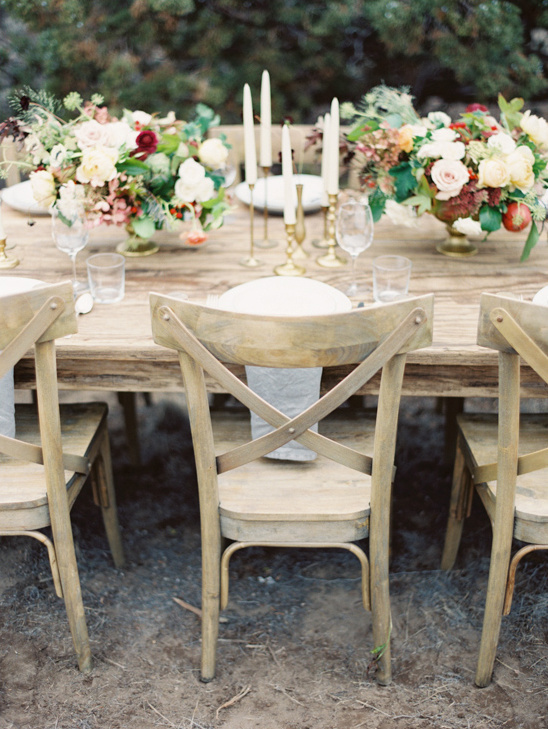 And now, to finish up this day of gorgeousness from the Erich McVey Workshop, we have Erich’s perfect film photography from the big styled wedding shoot of the workshop, complete with all the gorgeous details of a wedding day, including some of the most amazing calligraphy by the talented Abany Bauer of Brown Linen Design and gorgeous, overflowing floral arrangements by Holly Carlisle of Rosegolden Flowers. 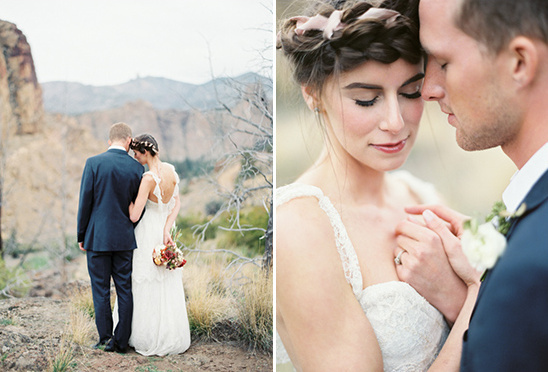 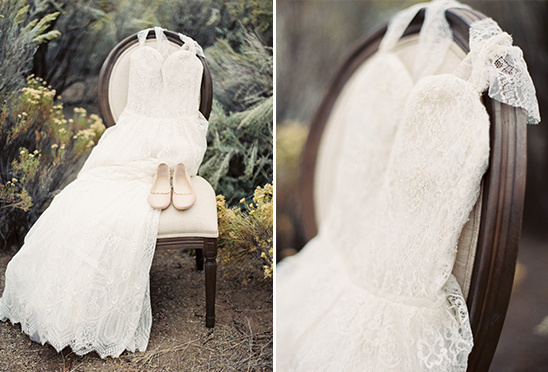 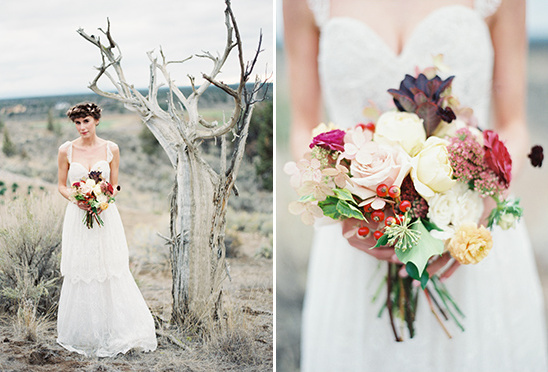 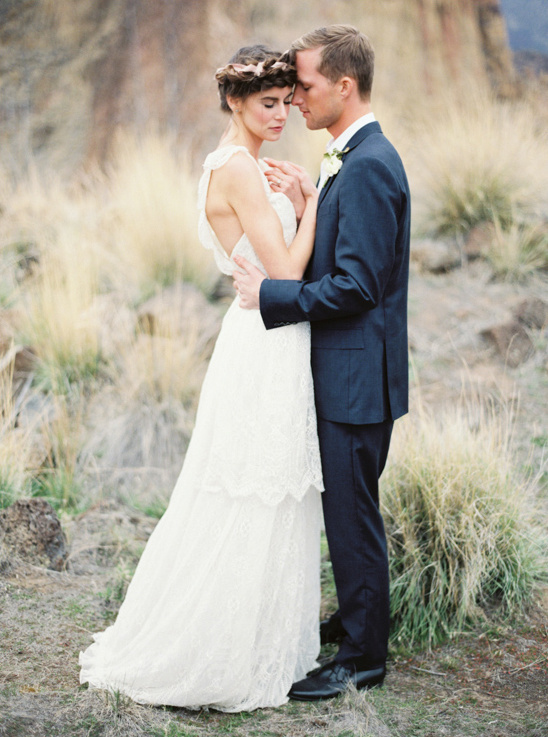 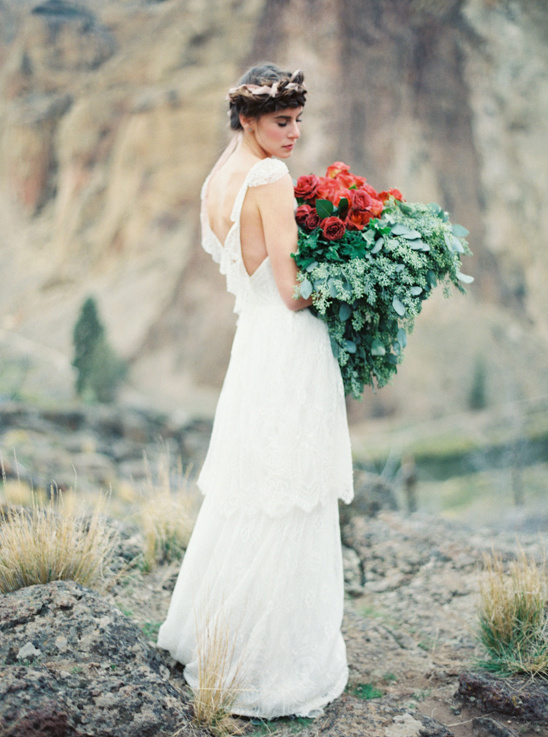 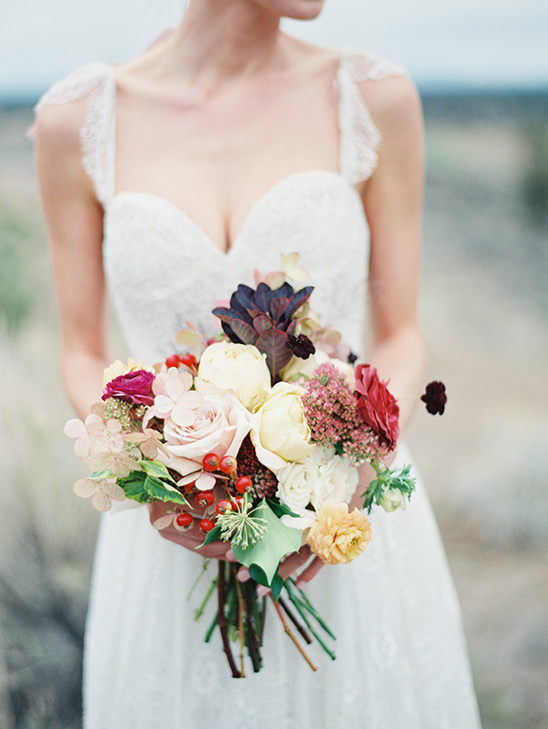 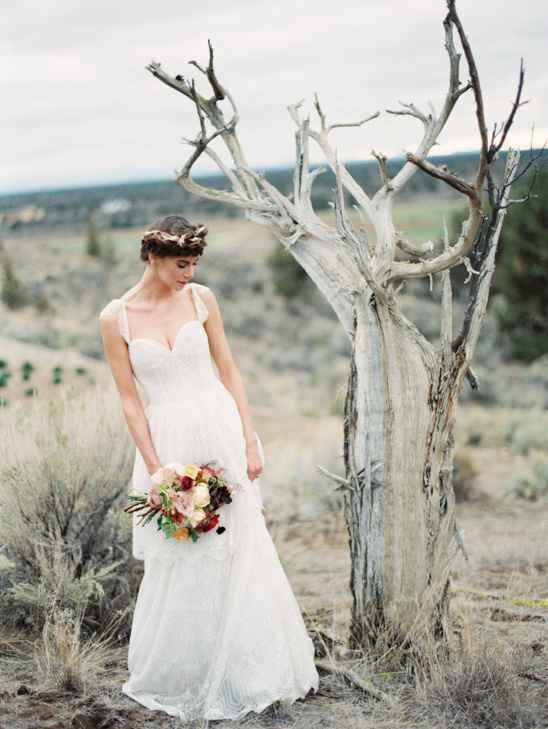 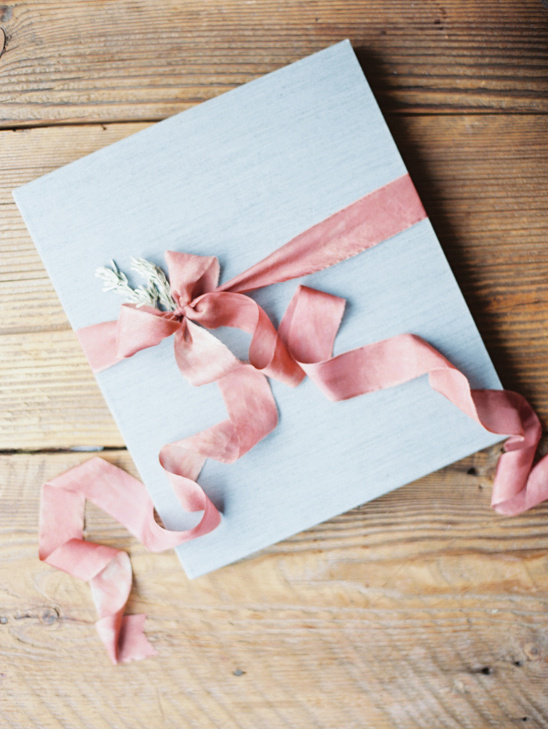 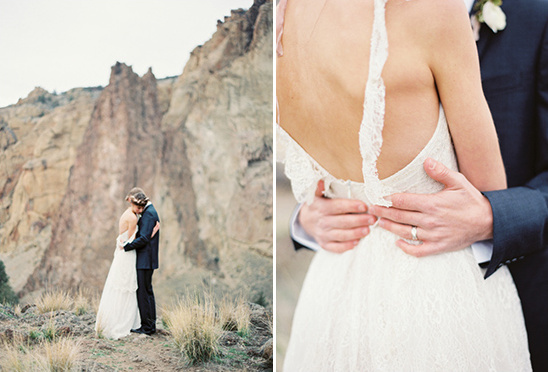 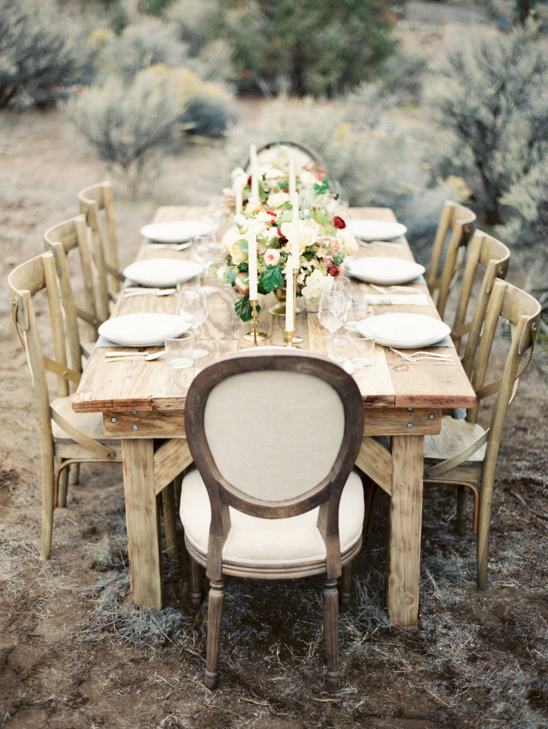 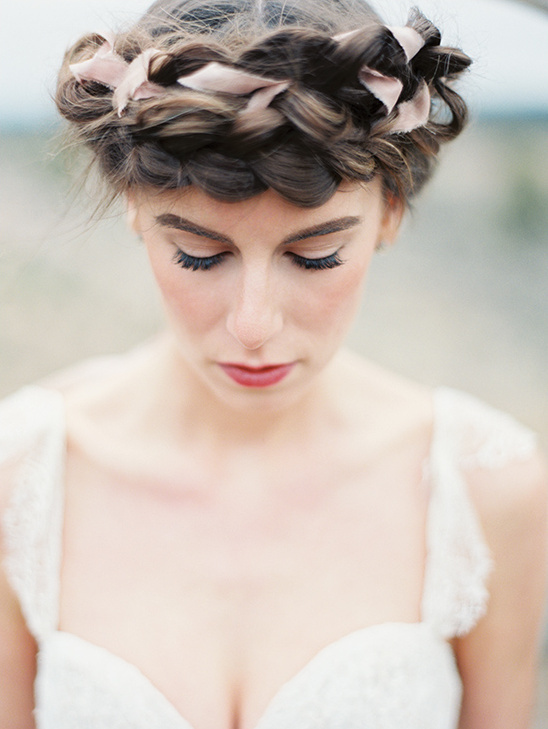 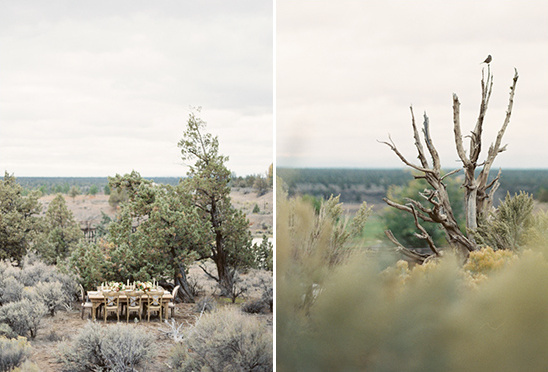 Styled by Ginny Au with hair and makeup by Amy Clarke this styled wedding shoot will have you head over heels in love with the beautiful high desert landscape and organic romance of central Oregon. 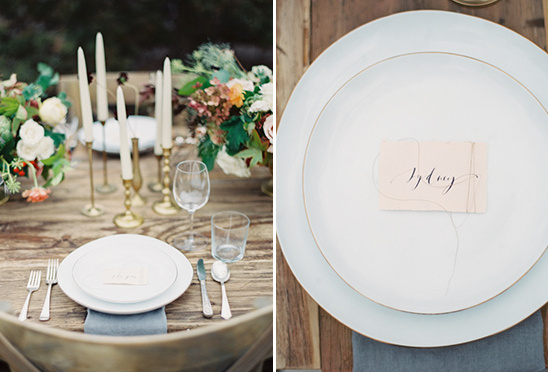 From Ginny Au Laura & Billy were our beautiful couple that accompanied the details to create a styled wedding shoot for the attendees. 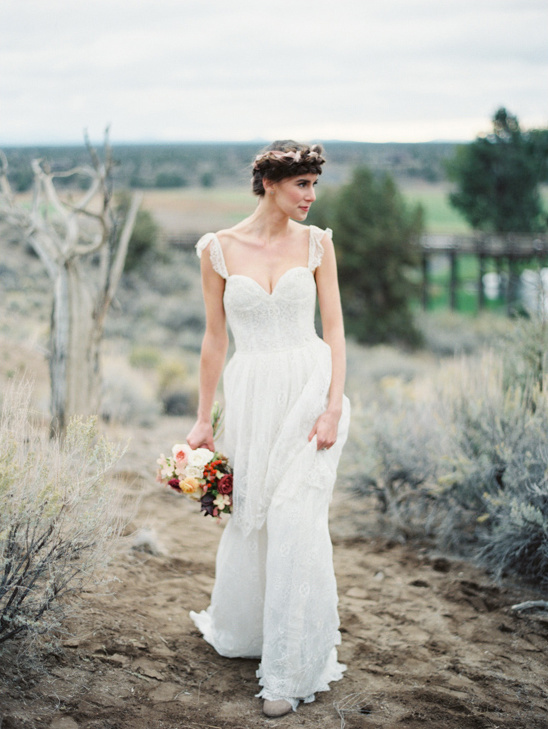 Laura's ethereal gown from White Dresses had an effortless beauty and grace, paired with a simple Chloe flat and crown braids with interwoven silk ribbon. 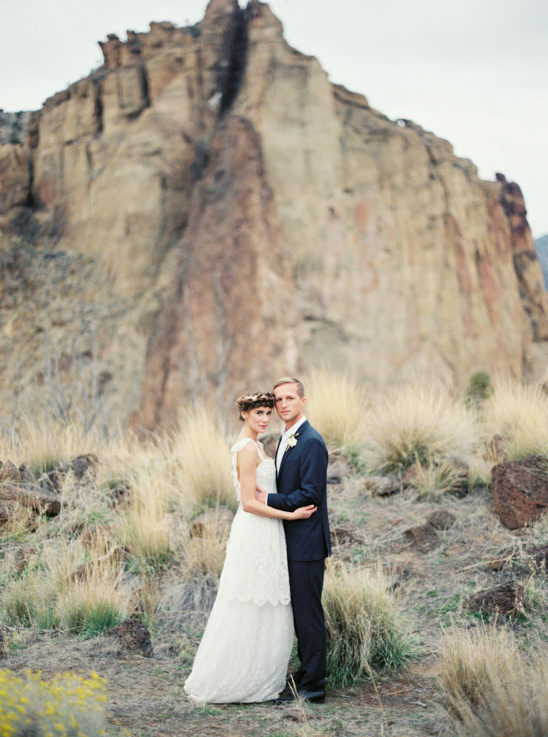 We imagined this couple embracing a blended design both understated and graceful. 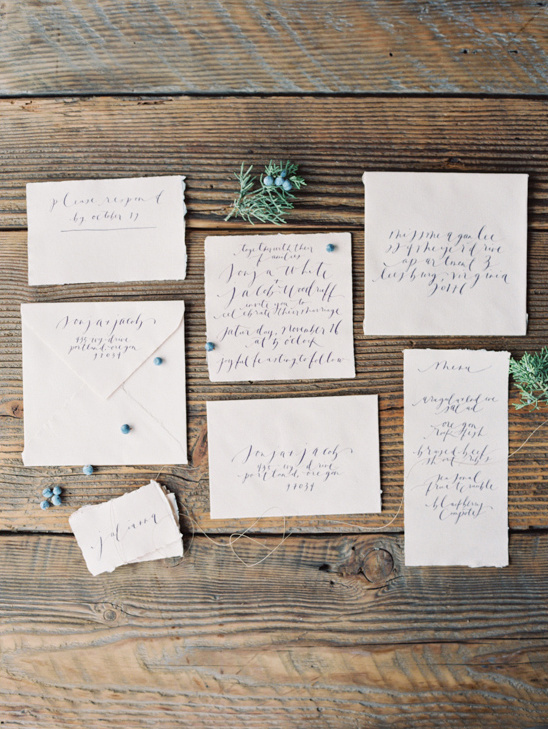 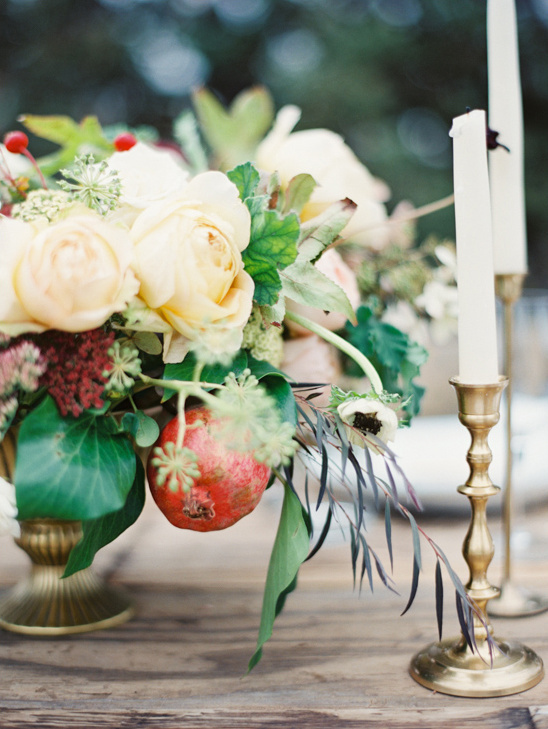 This was accomplished with exquisite unruly florals, organic calligraphy and paper, and a rich and graceful table scape nestled within the brush. 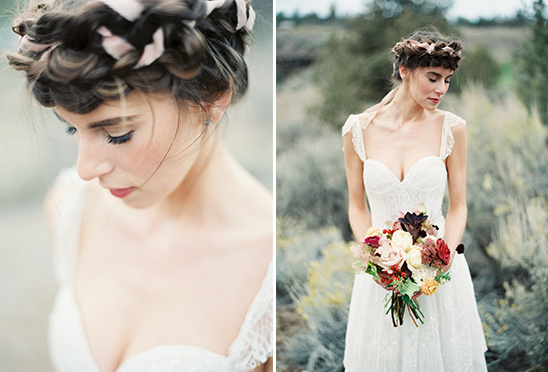 We have to again mention the ever so talented Amy Clarke and this incredibly gorgeous (otherwise known as a milkmaid braid or braided updo) takes practice but is beyond impressive once it’s mastered.